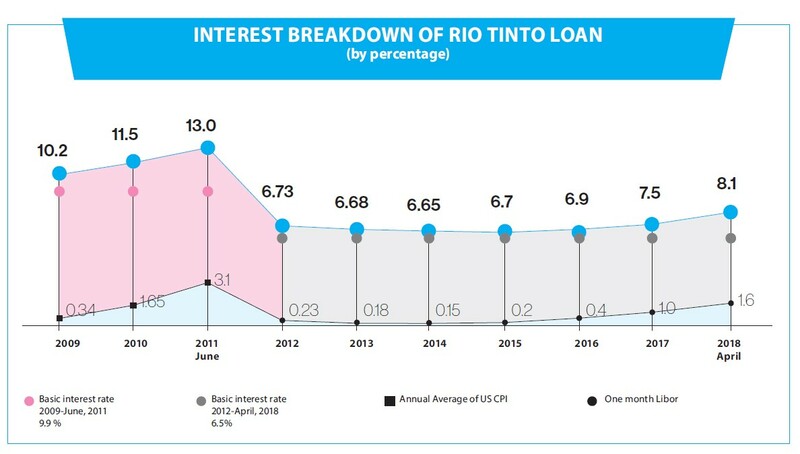 The amount of loan Mongolia borrowed from Rio Tinto by pledging its future dividend has reached USD 1.1 billion, including its interest payment. In 2009, as the 34 percent stakeholder in the Oyu Tolgoi project, Mongolia borrowed USD 770 million from its partner, Rio Tinto which holds the remaining 66 percent of the OT through its ownership of Turquoise Hill Resources. Mongolia pays 6.5 percent interest, plus Libor interest rate (London Inter-bank Offered Rate), which totals around 8.4 percent, for the loan. According to an official source, this equals to USD 100-110 at present. Although the people who were involved in the Oyu Tolgoi Agreement say that this is hardly a loan, Mongolia will have to pay the interest, which is further piling up. As written in the Oyu Tolgoi Investment Agreement, the investment was financed from two sources: 75 percent from loans and 25 percent from shareholder. Erdenes Oyu Tolgoi LLC (backed by the Government of Mongolia) and Rio Tinto, the investors of Oyu Tolgoi, made primary investment of USD 2.2 billion. Out of this amount, Mongolia will be responsible for approximately USD 770 million. This has been paid by Rio Tinto under a condition that Mongolia will pay from its future dividend. However, in 2009, when the Loan Agreement was signed, the interest almost reached 10 percent. At the time of signing the agreement, the loan was estimated to be 9.9 percent plus US CPI (consumer price index). In 2011, the Investment Agreement was amended and set the interest at 6.5 percent plus one month Libor. At present, Mongolia’s credit rating, which was falling in recent years, stands stable and is estimated to improve. 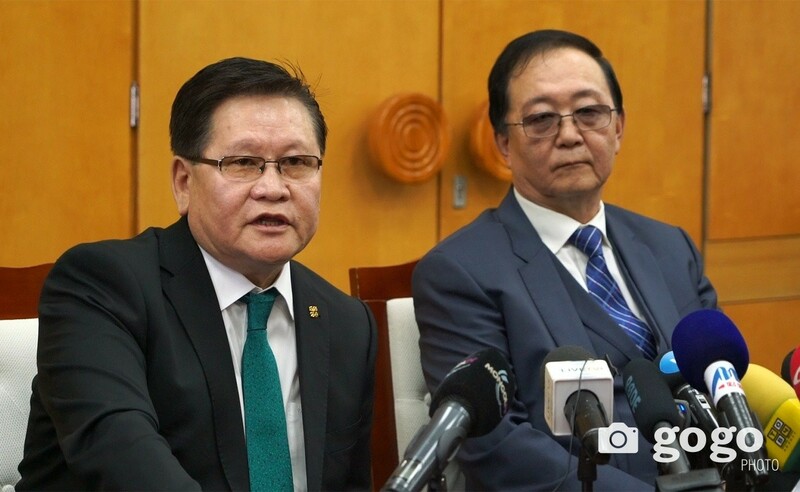 Therefore, it is possible to reduce loan expenses by a certain amount, the Minister of Mining and Heavy Industry Sumiyabazar Dolgorsuren noted. In addition, an official source informed that the Government of Mongolia started talks with Rio. Officials explain that the loan cause no pressure on the State Budget. However, it will block future revenue income. Also, the exact date of dividend distribution is unclear. No one at Oyu Tolgoi and Rio Tinto could confidently say the exact date of Oyu Tolgoi’s dividend payment. Early this year, Oyu Tolgoi’s CEO Armando Torres told the media that Oyu Tolgoi must accomplish positive cash flow and pay dividends to its shareholders as early as possible. On the other side, he argued that the Government of Mongolia made a choice to loan its initial investment for 34 percent share from Rio and repay from its future dividends. In addition, he added that the underground development fund was raised in cooperation with international financial institutions. “Today, it is impossible to say the exact date of dividend distribution,” said Mr. Armando Torres. He added that it will depend on how profitable Oyu Tolgoi will be. 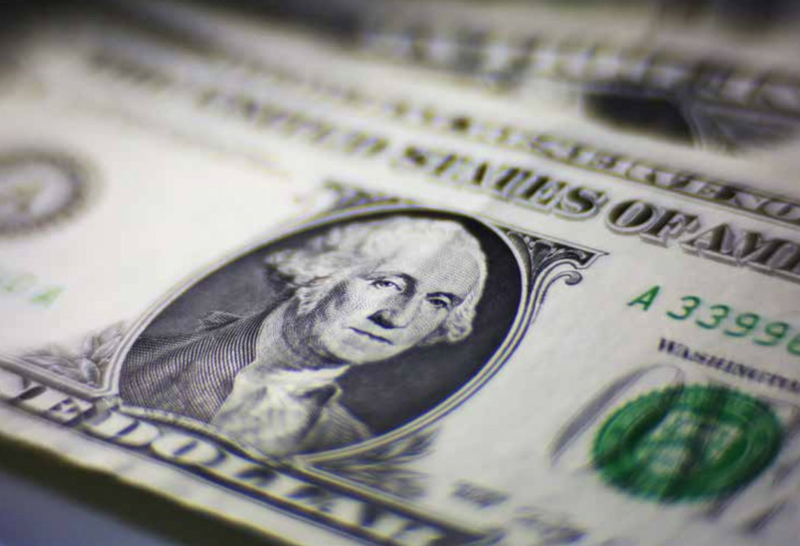 OT obtained USD 4.4 billion from Export Credit Agencies of the governments of US, Canada and Australia, as well as 15 IFIs. The amount, interest rate and the maturity of the loans variable. But Erdenes Oyu Tolgoi LLC and Turquoise Hill Resources informed that weighted average interest rate was set to be Libor plus 6 percent. Calculating since December 2015, when the agreement was signed, the total sum of loans obtained for financing the underground development has reached USD 5 billion including the interest. In addition, the company’s expenses are also building up. For a long time, Oyu Tolgoi has been criticized for excessive spending. 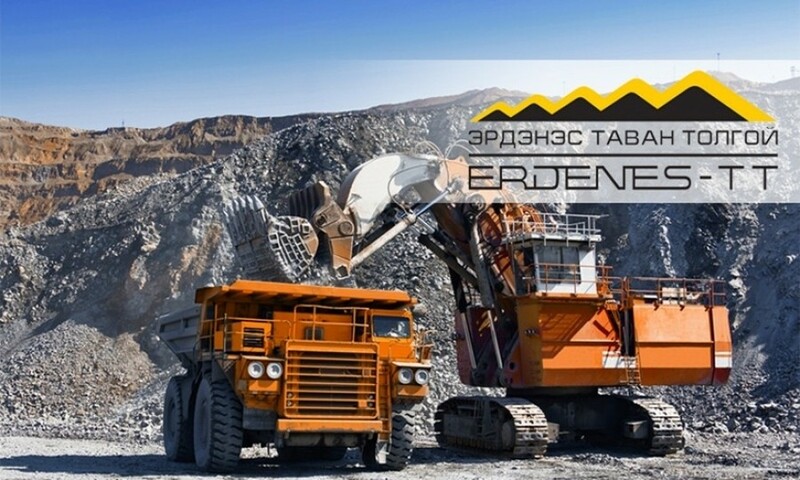 Deputy Minister of Mining and Heavy Industry Zagdjav Deleg notified that Rio raised USD 5- 6 billion fund with high interest from global financial market by pledging Mongolia’s deposit. Out of this, USD 1 billion was invested in Mongolia. He added that Oyu Tolgoi’s income does not flow through Mongolia's banking system and only 6-8 percent of its sales revenue is paid to Mongolia. In the last few years, Rio’s profit doubled. On the contrary, Mongolia’s debt has increased drastically. Rio was in a difficult situation in 2008, before the Oyu Tolgoi Investment Agreement. Rio’s stock price had fallen 7 times from AUD 138 to AUD 20 by May 2008. Whereas last year, the company “treated” its shareholders with USD 5.2 billion – historical dividend disbursement. But Mongolia's economy and society still remain vulnerable.